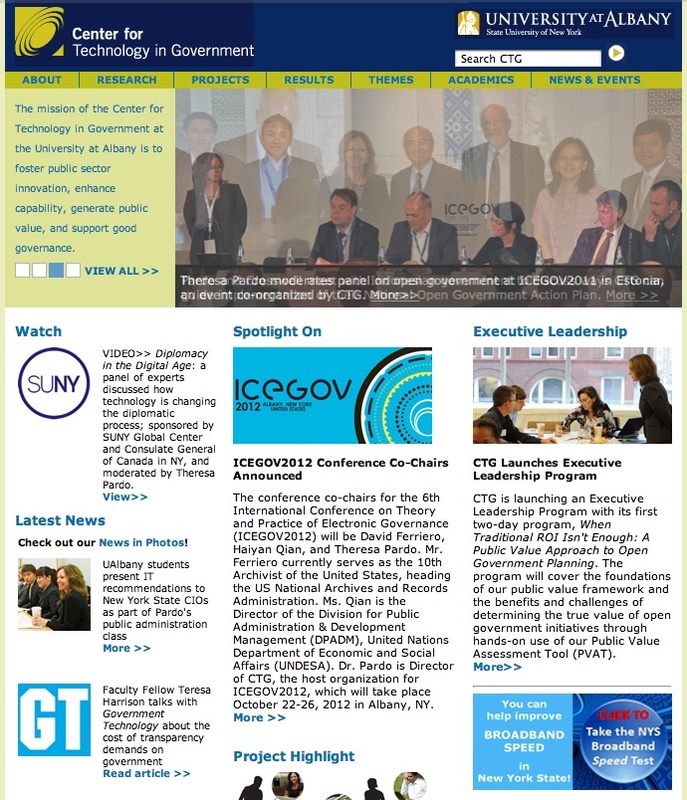 The Center for Technology in Government (CTG) is an initiative of the University of Albany. It is an applied research center which aims at improving the way government works and developing information strategies that foster innovation and enhance the quality and coordination of public services. The Center receives funding through the University at Albany’s state budget, as well as through grants and awards from foundations and federal agencies such as the National Science Foundation. The Center’s website provides comprehensive information about the projects, publications, and programs they produce in the effort to improve government and public services through policy, management, and technology innovation. Projects depend on ongoing partnerships with government agencies, technology companies, nonprofit and international organizations. All the material – research reports, practical guides, working papers, journal articles and conference papers – is clearly commented and available full-text in pdf format. The Center also publishes an annual report which provides a snapshot of CTG’s yearly accomplishments. A monthly newsletter announces news about projects, publications, and upcoming events. The content material is being updated on an annual basis. All materials are retrievable for free and in a printer-friendly version.